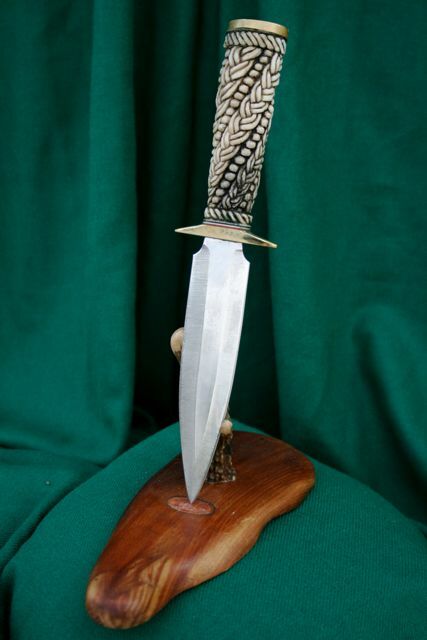 The knives and daggers here are all hand carved in William's studio and each is a unique original. 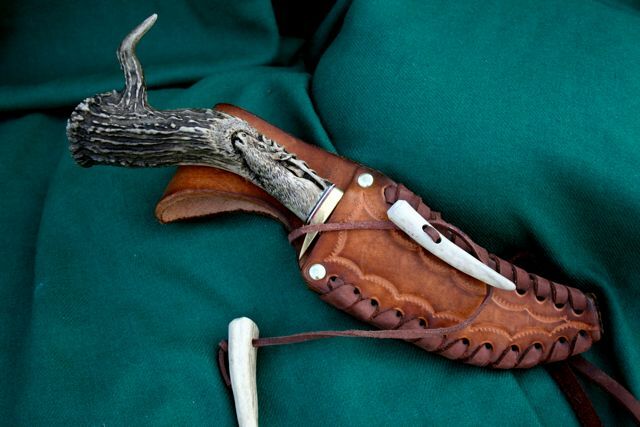 The handles and stands are carved from antler and wood. Many are set with a variety of gemstones. 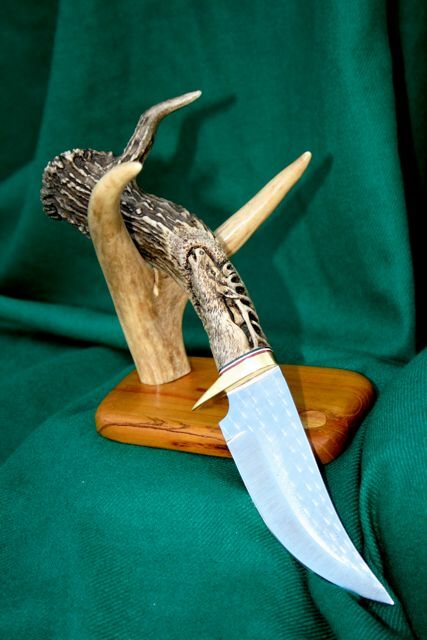 The beautiful 1085 high carbon blades are custom made for us one at a time by Ken Richardson and family in Missouri. 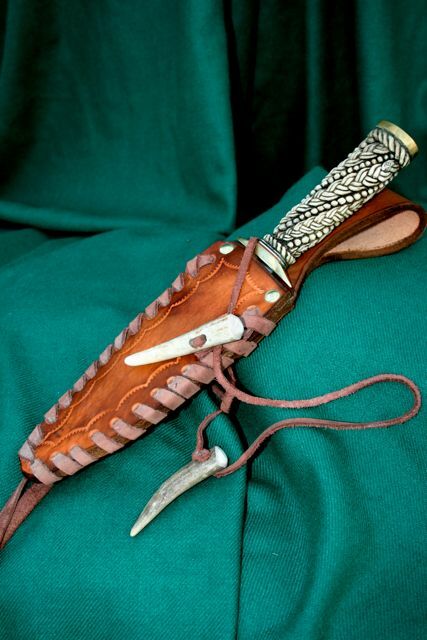 Each knife comes with its pictured sheath and stand.